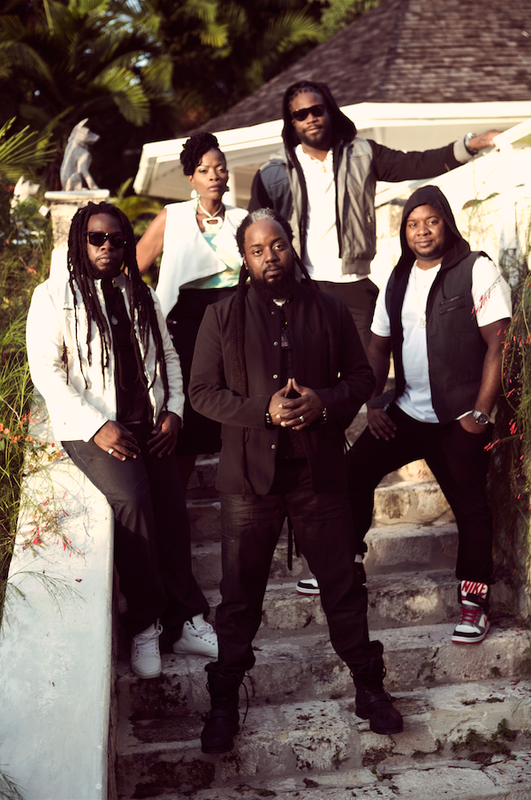 Brooklyn, Jamaica - March 3rd, 2015 - The Royal Family of Reggae, Morgan Heritage, have announced a tour in support of the upcoming album, Strictly Roots. 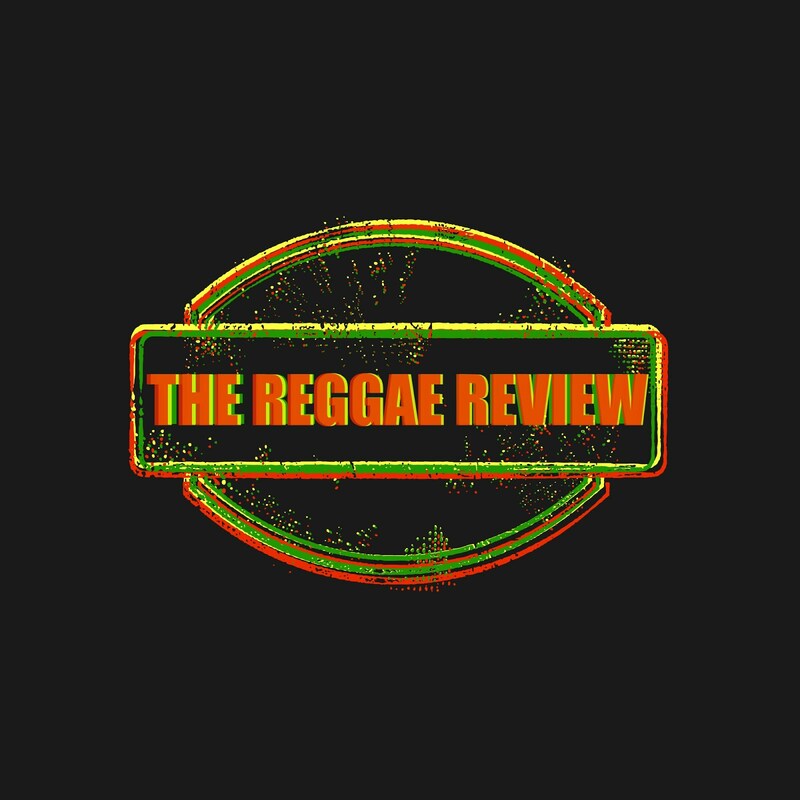 The album will be released digitally on April 20th, 2015 and physically April 21st, 2015 and available for digital purchase on March 10th, 2015.The band, which has established themselves as the premiere live group on the reggae circuit, will be kicking off the tour on April 8th in Washington D.C. and wrapping up in Las Vegas, NV on April 27th. The tour also features third generation ambassador from the Morgan family, Jemere Morgan, as a special guest. Tickets are currently on sale. For more information, please visit:www.MorganHeritageMusic.com. Undoubtedly one of contemporary reggae's most powerful forces on the global stage, the sensational roots reggae quintet, which comprises siblings Peetah Morgan (vocals), Una Morgan (keyboard/vocals), Gramps Morgan (keyboard/vocals), Lukes Morgan (rhythm guitar) and Mr. Mojo Morgan (percussion/vocals) has embraced the challenges that come with empowerment of this nature. Guided by sheer acumen and a passionate desire to make their already rich musical legacy even more impactful, Morgan Heritage, after much deliberation and contemplation, triumphantly delivers their latest album exclusively on their very own label CTBC (Cool To Be Conscious) Music Group. Strictly Roots, which is will be released on Tuesday, April 21st, features a wide variety of guest performers including platinum selling pop/dancehall phenomenon, Shaggy; Hawaiian reggae and R&B vocalist, J Boog; third generation ambassadors from the Morgan and Marley families, Jemere Morgan and Jo Mersa Marley; reggae sensation, Chronixx; rock and reggae band, Rebelution; and Bumble Bee from the American Grammy-nominated pop reggae band, SOJA. Among the heavyweight co-producers with Morgan Heritage on Strictly Roots are Don Chandler and BBC One/BBC 1Xtra's Seani B, Shane C. Brown of Juke Boxx Productions, multiple Grammy nominee, Jason "J-Vibe" Farmer; French reggae/dancehall production duo Matthieu Bostand Jérémie "Bim" Dessus; guitarist Andrew "Simmo" Simpson and DJ Fras. In addition, multi-faceted studio and touring drummer, Gil Sharone, has contributed to the brilliant instrumentation for which Morgan Heritage is known. Gil's DVD, Wicked Beats, won the Drummie award in Drum Magazine for "DVD Of The Year" 2011. Regarding the upcoming album, Peetah Morgan states, "We know what our fans want; we know exactly where we want to take them and we know precisely how to get them there." 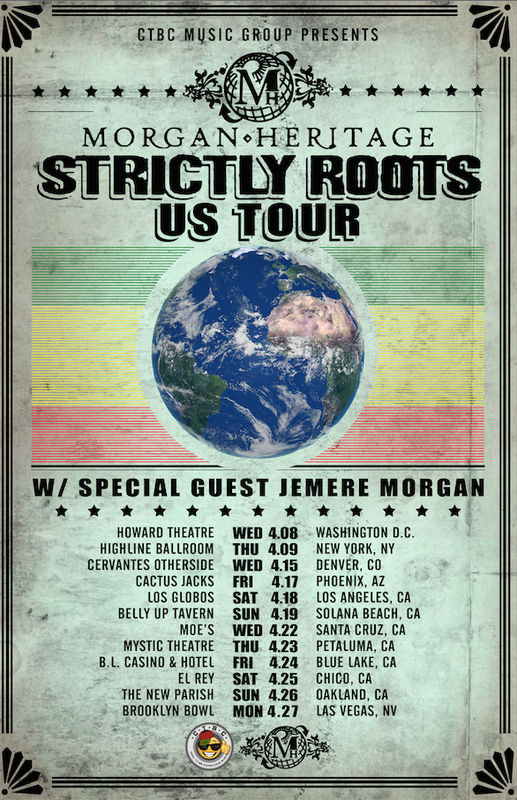 Throughout 2015, Morgan Heritage will be touring in support of Strictly Roots, which will be released on April 21st, 2015. Apr. 8 Howard Theatre Washington D.C.